I love tacos, but we tend to eat the traditional Mexican versions. Very light and flavorful. Perfect for a summertime dinner. Start with a simple marinade. My opinion? The longer it marinates the better! 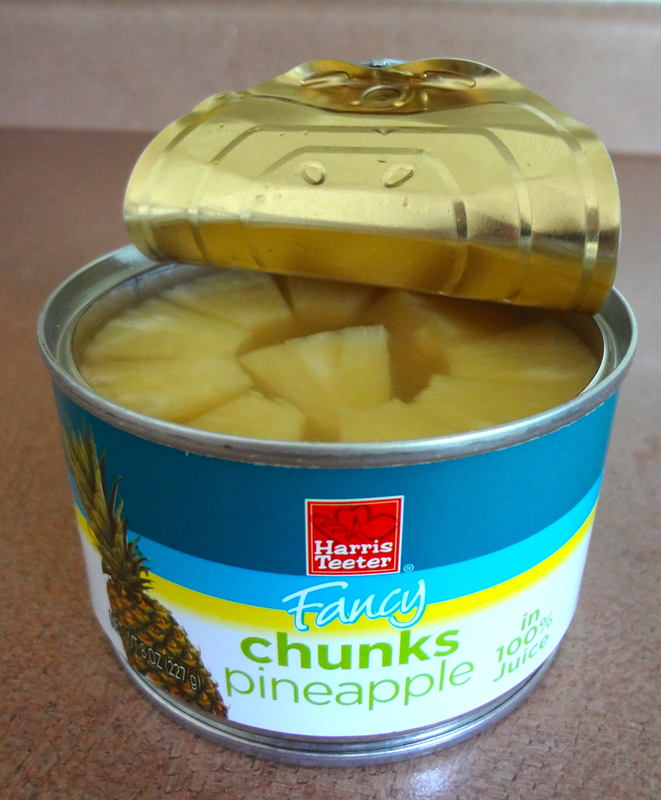 Use the juice from fancy chunks pineapple in the marinade. Use the pineapples in the chicken mixture. Use salsa verde in the marinade and as a garnish on the tacos. 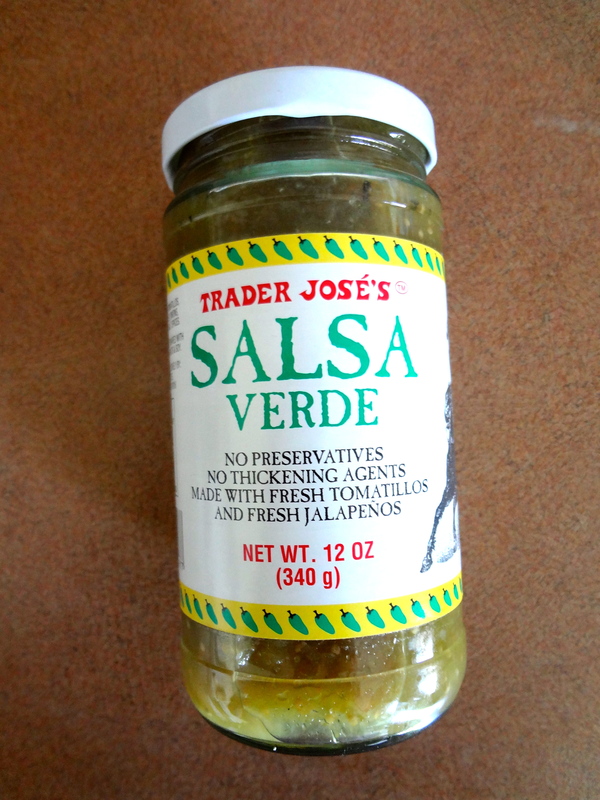 We tried the Trader Joes Salsa Verde ($1.99) version and liked it a lot! 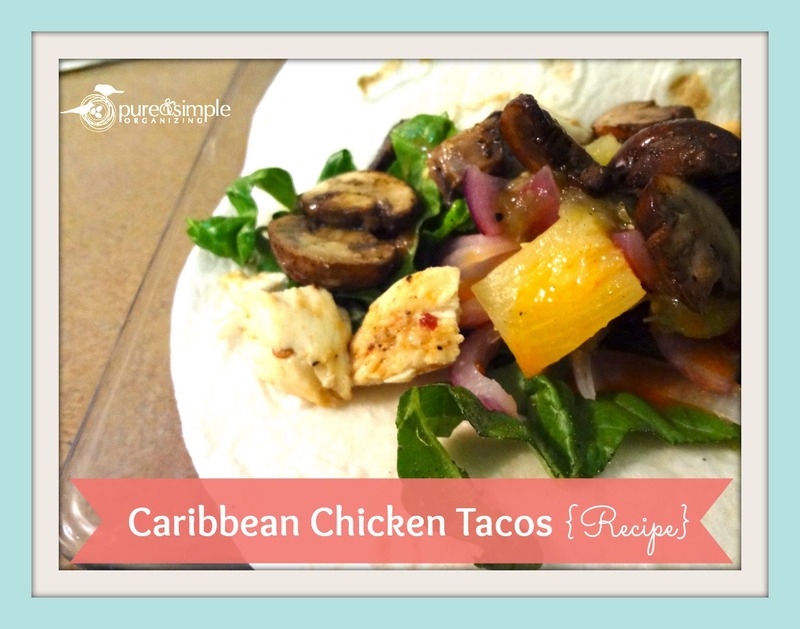 Grill the chicken, onions, and pineapple to make the taco mixture! Having a grill would make this a lot easier. I had to make two batches on the cast iron grill skillet. Place all ingredients in resealable Ziploc bag. 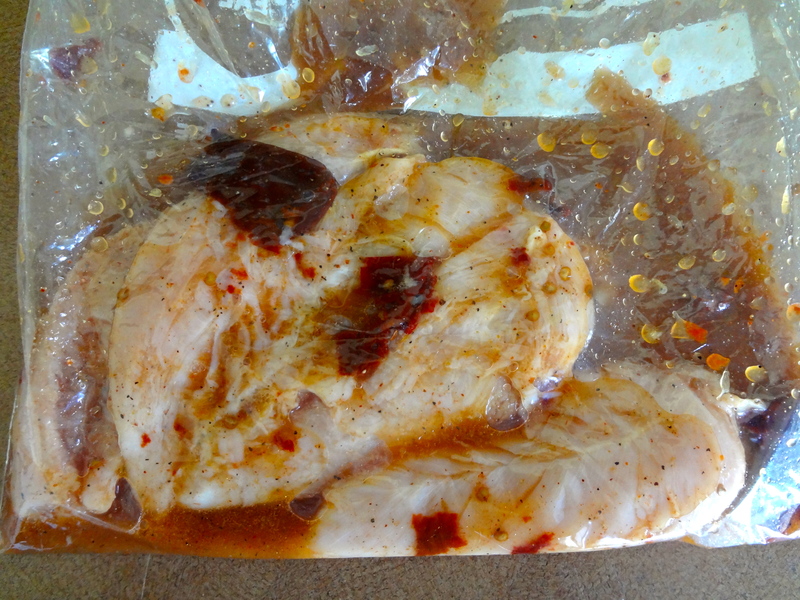 Marinate for 2-3 hours or while at work. 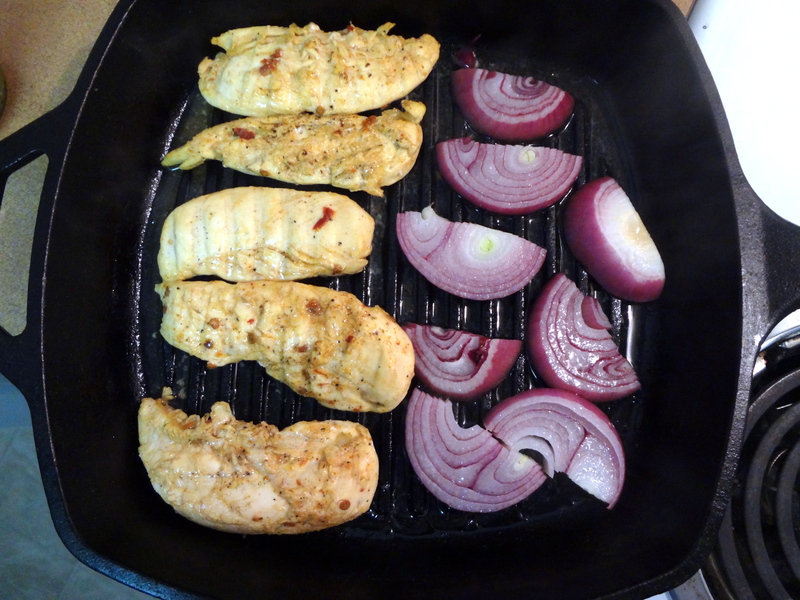 Heat grill or cast iron skillet. Grill chicken 3 minutes on each side or until done. Brush onion and pineapple with oil. Grill 3-5 minutes on each side. Remove from heat. Coarsely chop chicken, pineapple, and onion together. Serve with warmed corn tortillas, chopped cilantro, salsa verde, limes, and chopped lettuce. We tried flour tortillas and I think corn would have been better suited, and I’m not a big fan of corn tortillas usually. This flavor combo needs something other than flour.